Iranian police have arrested a man they say hoarded two tonnes of gold coins in order to manipulate the local market. [post_ads]Tehran police chief Gen Hossein Rahimi said the unnamed 58-year-old had used accomplices to collect an estimated 250,000 coins over the past 10 months. He dubbed him the "Sultan of Coins". 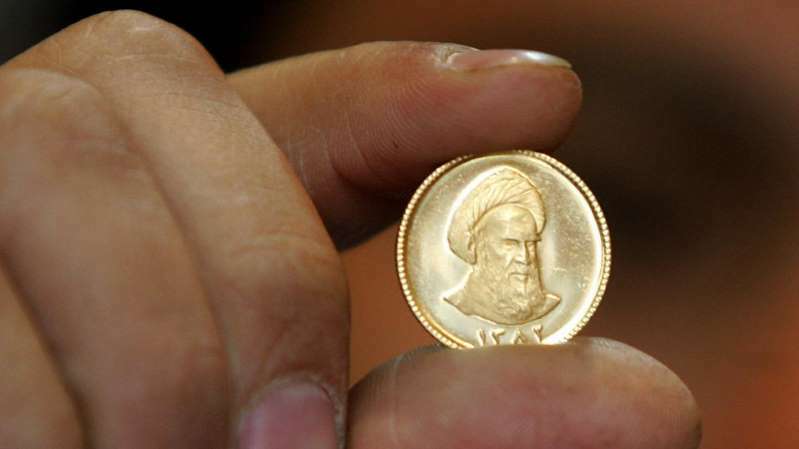 Iranians have been buying up gold coins since the US abandoned a nuclear deal with Iran in May and said it would reimpose sanctions, triggering a fall in the value of the country's currency. A US dollar was worth about 81,000 rials on the unofficial foreign exchange market on Wednesday, compared with 43,000 rials at the end of 2017. Two weeks ago, traders at Tehran's Grand Bazaar shuttered their shops and join protests in the capital prompted by the collapse of the rial and rising prices. Iran's economic problems fuelled similar anti-government demonstrations in provincial cities and towns late December and early January.